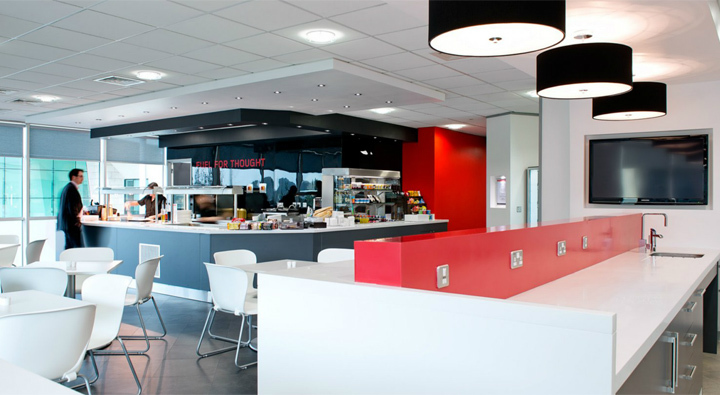 Lenovo, the company making award-winning PCs, appointed Area Sq for the fit-out of their new restaurant as well as their “Pioneer” meeting and presentation space at their UK head office in Hook, Hampshire. 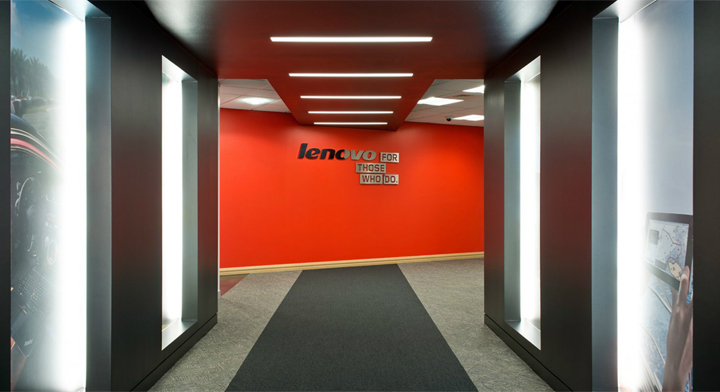 Lenovo is a fast-growing business and needed offices and facilities to evolve with them. 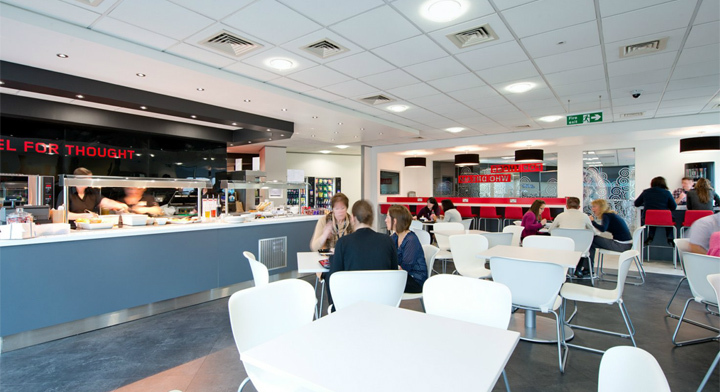 Following consultation with staff, a brief was developed with Area Sq to create a new presentation facility incorporating meeting and touchdown space for visitors and transient staff. 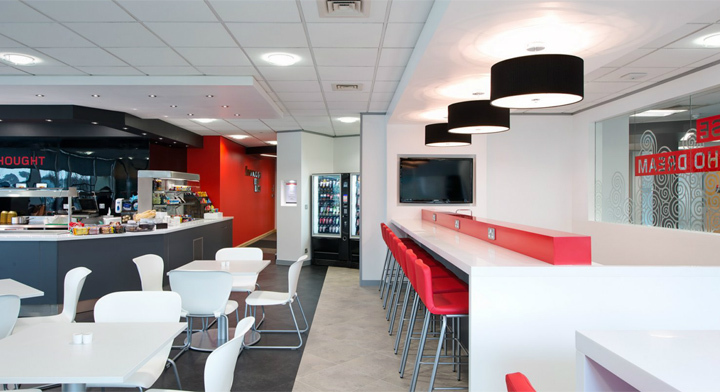 A new restaurant and servery for all staff was also required due to the lack of external services in the immediate vicinity. 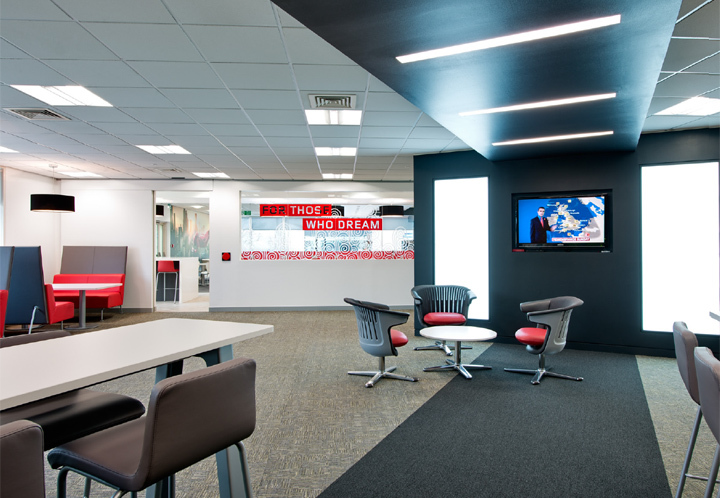 The Pioneer space has been designed to mimic similar facilities in Lenovo offices around the world; it provides an area for staff, customers and partners to meet informally and work collaboratively using key features such as flexible furniture, audio visual systems and dry wipe boards. 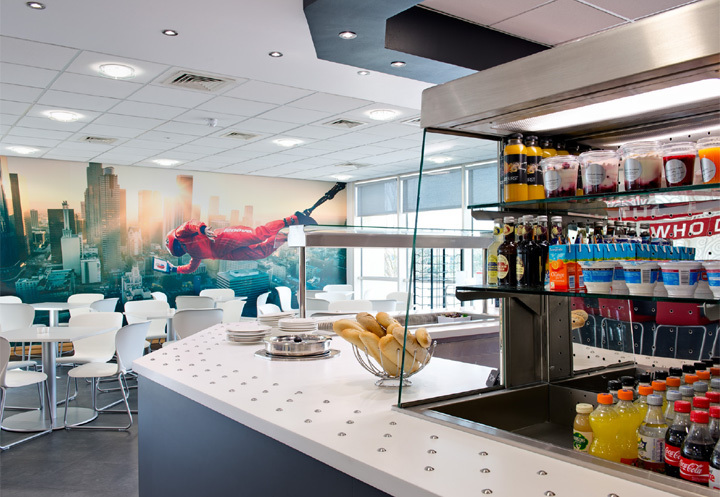 It also incorporates an impressive entrance and features key branding and “for those who do” imagery from Levono’s strapline. 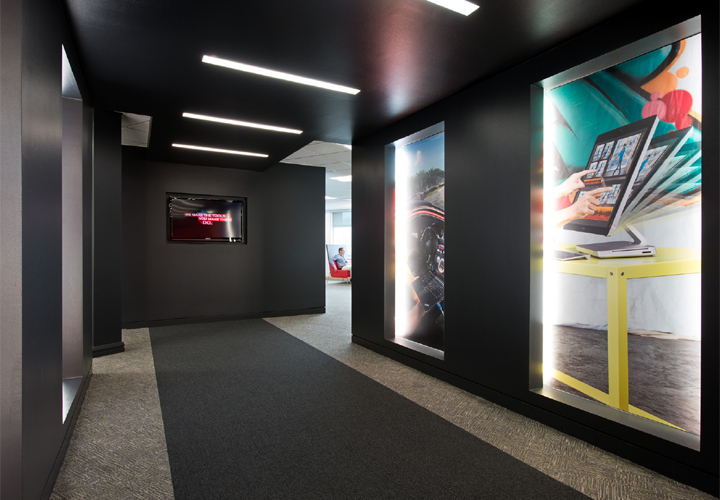 James Cornwell, Design Director at Area Sq says: “the branding was a hugely important aspect of the brief so we designed the space around Lenovo’s brand colours, and their extensive library of powerful images. 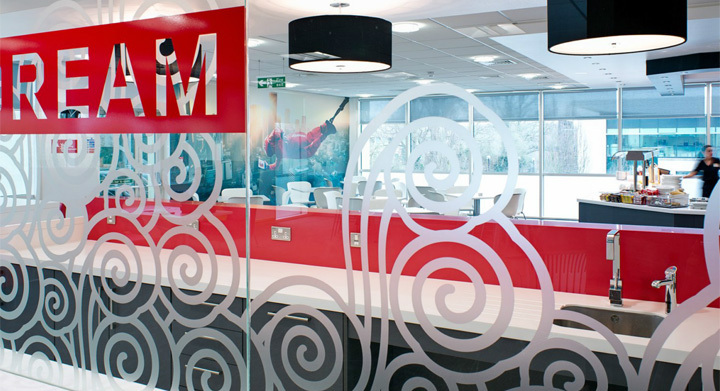 In addition, the manifestation detail on the glazing depicted the ‘Lucky Cloud’ representation as found on the Lenovo-designed Beijing Olympics 2008 torch, which is a symbol of good luck in ancient Chinese culture. 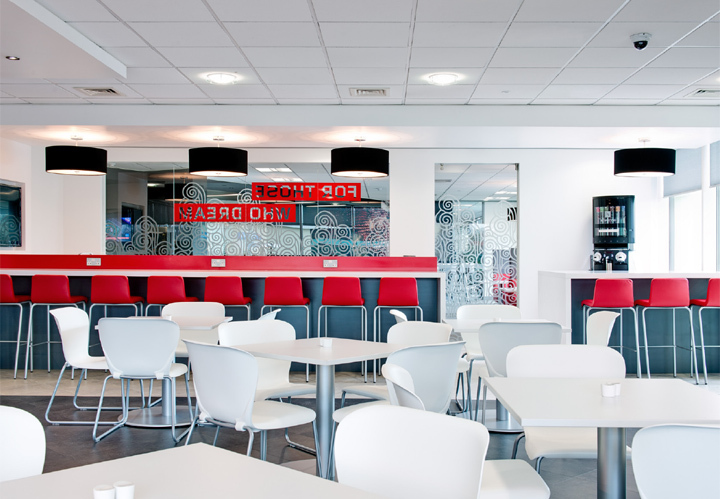 We also adopted sustainable building practices such as reuse of carpet, glass and airconditioning systems. Senior Manager EMEA, Corporate Real Estate.